Beloved Author Lauraine Snelling Returns Again to Her Popular Red River Valley SettingTrygve Knutson is devoted to his family and his community. With his job on the construction crew, he is helping to build a future for the North Dakota town of Blessing. Though he loves his home, he sometimes dreams of other horizons--especially since meeting Miriam Hastings.Miriam is in Blessing to get practical training to become an accredited nurse. She's been promised a position in the Chicago women's hospital that will enable her to support her siblings and her ailing mother. Although eager to return to her family, Miriam is surprised to find how much she enjoys the small town of Blessing. And her growing attachment to Trygve soon has her questioning a future she always considered set in stone. 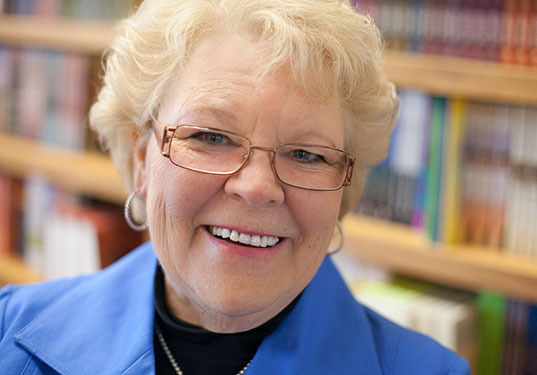 Award-winning and best selling author Lauraine Snelling began living her dream to be a writer with her first published book for young adult readers, Tragedy on the Toutle, in 1982. She has since continued writing more horse books for young girls, adding historical and contemporary fiction and nonfiction for adults and young readers to her repertoire. All told, she has over eighty books published with more than 4 million copies in print. Shown in her contemporary romances and women's fiction, a hallmark of Lauraine's style is writing about real issues of forgiveness, loss, domestic violence, and cancer within a compelling story. Her work has been translated into Norwegian, Danish, and German, and she has won the Romantic Times Career Achievement award for Inspirational Fiction, the Silver Angel Award for An Untamed Land and a Romance Writers of America Golden Heart for Song of Laughter. As a sought after speaker, Lauraine encourages others to find their gifts and live their lives with humor and joy. Her readers clamor for more books more often, and Lauraine would like to comply ... if only her paintbrushes and easel didn't call quite so loudly. Lauraine and her husband, Wayne, have two grown sons, and live in the Tehachapi Mountains with a watchdog Basset named Winston. They love to travel, most especially in their forty-foot motor coach, which they affectionately deem "a work in progress".